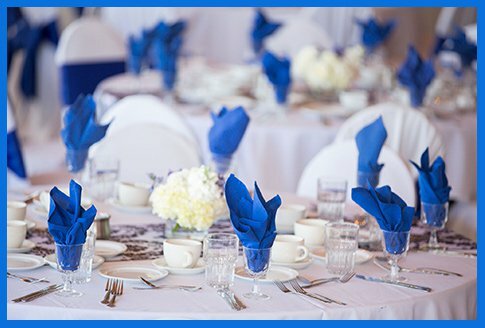 When you have your banquet or event at Pomona Valley Mining Company you can be assured of having an incredible experience at a reasonable price. 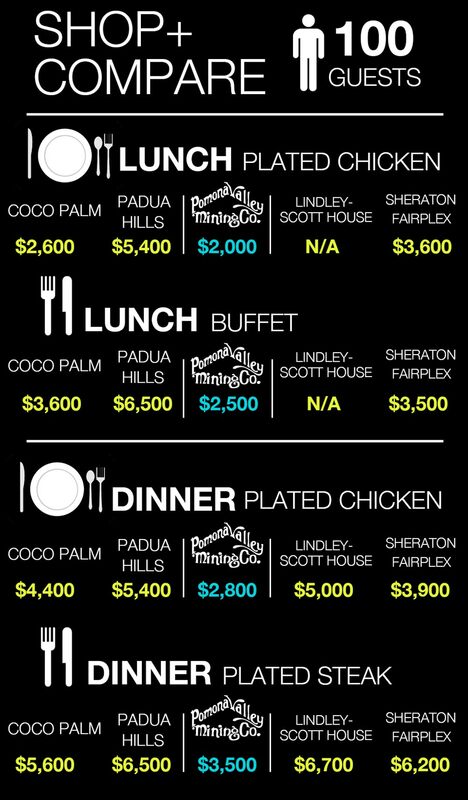 Take a look at the total cost of a few events for 100 people at local venues and see the difference. Hosting your event here can mean inviting more friends to your wedding reception. Or a grander gift for the special birthday party. Either way, you’ll feel comfortable with what you pay here when you shop and compare.